Whether you’ve just managed to complete your relocation to London, or you’ve been settled for quite some time now, it must be pretty clear to you how expensive the city can be. That doesn’t only apply to extravagances such going out for dinner, shopping at Harrods or taking in a night on the West End. Picking up essentials for the home and basic day to day living can also take their toll on your wallet. The very best thing to do isn’t to attempt to make big savings in one fell swoop but rather save a little here and little there and then see the difference saving in those small increments can have on your outgoings at the end of the month. Transport is an obvious expense. If you own a car then the ongoing maintenance costs plus ever climbing cost of petrol can really eat into your budget. 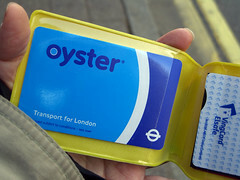 Getting an Oyster Card that will cover all your public transport needs in London is a fantastic way of saving money. As an added bonus, the Oyster Card can offer you discounts on things like productions on the West End and other such luxuries. Alternatively, if it is feasible in terms of distance and other factors, you can use a bicycle. It’s a great way to save money and comes with the added bonus of being a healthy activity. You can also feel good about yourself, given that cycling is environmentally friendly, thus lessening your carbon footprint. If taking the bicycle doesn’t take your fancy or if it just isn’t practical, have a look at carpooling. This is where the earlier blog advising you to have a housewarming would come into play. Housewarmings are great for meeting and getting to know your neighbors, and should you meet someone who has a similar daily travelling schedule to you, suggest carpooling with them. Relocating to London needn’t be an expensive undertaking. With some planning and an eagle eye for money saving opportunities, you too could be sitting with a very big grin on your face come the end of the month.